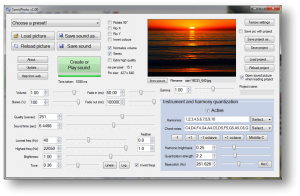 SonicPhoto is a new software that creates sound from pictures. See Below. Using SonicPhoto is simplicity itself. You can often achieve effective results by merely clicking “Load picture…” at the top left, and then click the green button “Create or Play sound”. 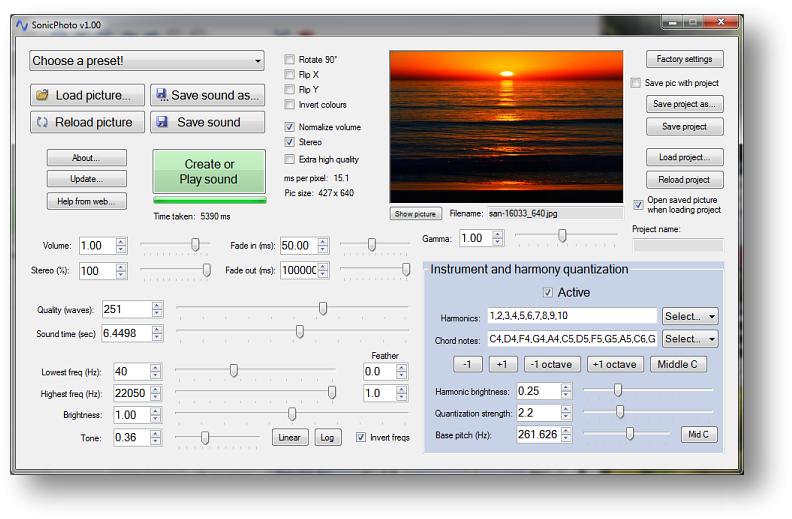 Following that, you might change one of the numerous slider options or finish off by saving the sound. For first time users, make sure you check out the inbuilt preset examples (“Choose a preset!” at top left) to see what you can achieve! Caribbean Fever! Making Music with you iphone.